The State and Treasury departments on Friday sanctioned 31 entities — 17 organizations and 14 people — with ties to Iran's Organization of Defensive Innovation and Research (SPND), a previously sanctioned research center that was involved in Tehran's efforts to develop nuclear weapons. Why it matters: The designation was pursuant to an executive order signed in 2005 that laid out penalties for those involved in the development and proliferation of weapons of mass destruction (WMDs). The U.S. has used the order to target Iran's ballistic missile program, but these are the first nuclear-specific designations since the Iran nuclear deal entered into force in January 2016. Background: Founded in February 2011, the SPND is the latest in a series of programs and organizations subordinate to Iran’s already sanctioned Ministry of Defense and Armed Forces Logistics that have supported the regime's weapons program, according to a November 2011 report from the International Atomic Energy Agency. Between the lines: Naming and shaming those responsible for Iran's nuclear weapons-related efforts is one way to hedge against Iran reconstituting its efforts. 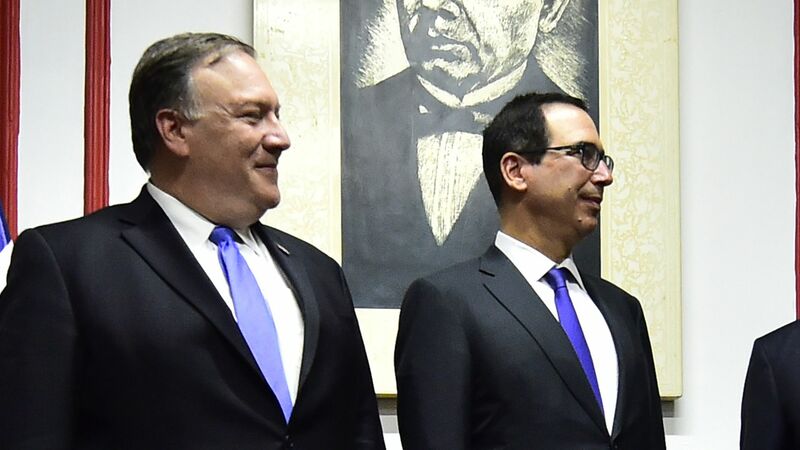 It is also consistent with Washington's commitment to target those who materially support Iran's missile and military capabilities, which rely on the same nexus between the country's scientific research centers and defense-industrial base. The State Department posed a stark choice for Iranian scientists: "Iran's next generation of scientists has two paths: They can use their skills pursuing noble work outside of the WMD realm, or they can work for Iranian proliferation organizations and risk being sanctioned." What's next: Holding Iran to account for its past illicit nuclear activities may require exploiting the atomic archive seized from Iran by Israel over one year ago to sanction persons and entities who appear in those documents but have yet to be penalized.